If you’ve taken the time to set up a trust, you’ve made an important step towards protecting your assets and providing for your loved ones. A trust is a highly effective estate planning tool that can help you manage your property and ensure its smooth and timely distribution. However, the success of your trust relies largely on the effectiveness of your trustee. Your trustee will be responsible for managing your trust and distributing it to your beneficiaries after you pass. Your trustee will attend to the duties you specify in your trust, including paying bills, caring for property, and making investments. Picking the right trustee to manage your trust is an incredibly important decision, and not always the easiest task. To assist you with this crucial decision, we’ve outlined some important tips for choosing a trustee. Choose a trustee you can rely on. It’s important to choose a trustee that you can trust with the huge responsibility of administering a trust and managing your assets. Business knowledge and financial experience is helpful, but common sense and good judgment are essential. Choose a trustee who can make the time commitment. Your trustee will have to be able to invest time and energy into administering your trust, and the duty could be an unwelcome burden if they are not up to the task. Be sure to have an honest and upfront conversation with your prospective trustee about what the role will entail in order to determine whether he or she will be able to put in the necessary time and effort. Similarly, you should also take into account the likelihood that your chosen trustee will be alive to administer your trust, and choose a trustee who is likely to outlive you, considering their age and health. Your family isn’t necessarily the best choice. While a family member may seem like a natural and easy choice to manage your trust, a relative isn’t always the safest bet if he or she does not have a head for financials. Oftentimes, family members do not have the experience or business skills required to navigate the complicated issues surrounding trust management. Similarly, the duties and responsibility of the role can place a strain on your chosen trustee’s relationship with your beneficiaries. Be sure to update trustee designations appropriately. Remember to revisit your trust following major life events, such as marriage, divorce, and death, and update your trustee designation accordingly. For instance, if you have assigned your sister-in-law to the role of trustee, you may want to reconsider following a divorce. Consider a professional. If your trust is big or complex, it may be wise to assign an experienced estate planning attorney as trustee. Your attorney will have the knowledge, resources, and legal and financial skills needed to administer your trust efficiently, and will be unlikely to take sides in beneficiary conflicts. If you are searching for the right individual to manage your trust, we encourage you to reach out to the Law Office of Kathleen Flammia. 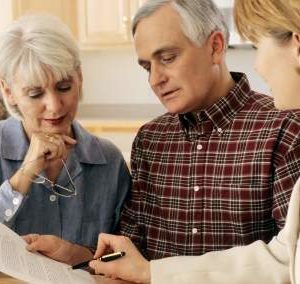 Ms. Flammia is a highly experienced estate planning attorney who can help you consider your options and determine the right candidate for your unique circumstances and goals. And if you are interested in learning more estate planning tips, we would be happy to share our knowledge with you.